The only thing I expected to see less than the Cardinals and Rangers in the World Series was the Sultan of Swat choosing brains over beers in the dugout. 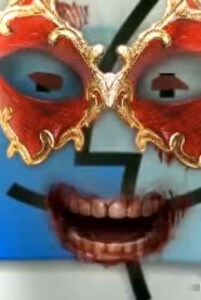 Does that make him Mr. Zombtober? Either way I can check both of those off my barf-bucket list. He was once a little green slab of clay. Mumby! You should see who Mumby de-brained today. Mumby! He can kill with a single bite, with his pony pal Pokey, too. 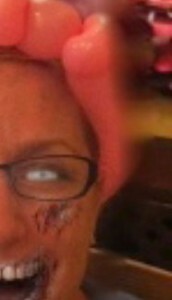 If you’ve got a heart then Mumby’s gonna Zombify you. You may want to think twice before launching these fowl with your sling shot! They’re not into wrecking your laughing pig houses. They’re after your three star brains! These frigging zombies are seriously harshing my football buzz! Worst tailgaters ever. Think they brought rancid meet to BBQ too. Gross. 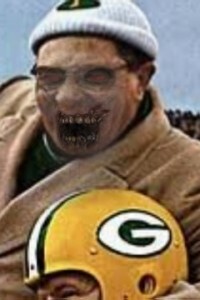 Fun forum question: Who do you think will raise the Lombardi Brain after this years’ Zombie Bowl? 3)They have an infatuation with the sound of a well clanged cow bell. Just ask The Bruce Dickinson. I was attacked by a zombie in the most unlikely place! His disguise didn’t work. I’ve heard of a sad Mac before but never one that wants to download your brains!! There’s nowhere to hide! First Scotland’s greatest son and now England’s?! Better look both ways on Platform 9 3/4 people or you’ll get transfigured into Berti Botts’ “Brain Flavored” jelly beans. You may scare us out of our kilts, but you can never give our brains their freedom!